As a physician, my primary concern is ensuring my patients get the best care possible, which often requires coordinating with other specialists. Every day I work with doctors in my practice—and in other practices—to give my patients access to a diverse team of experts that works together to develop and implement effective treatment plans. This is essential to modern healthcare delivery, but independent physicians like me face significant impediments in providing care coordination because of an outdated law enacted nearly 30 years ago. The Ethics in Patient Referrals Act (more commonly known as the Stark Law for its author, then-US Rep. Fortney “Pete” Stark, D-CA) sought to bar physicians from referring Medicare patients to hospitals, labs and other entities if they would benefit financially from the patient receiving care in those facilities. A few years after the original legislation was enacted in 1989, it was expanded, and a series of rules implemented by CMS over the years have created a sprawling web of regulations and exemptions. While curbing physician self-referral may seem reasonable in a fee-for-service environment where traditional Medicare pays for volume over value, the Stark Law is now presenting serious challenges for independent physicians as our healthcare delivery system evolves in prioritizing advanced alternative payment models (APMs) that incentivize care coordination (and under which physicians accept some risk for patient outcomes and cost). For value-based care to succeed, we must address challenges created by prohibitions in the Stark Law that are fundamentally at odds with the new payment structures that Congress established through the bipartisan Medicare Access and CHIP Reauthorization Act (MACRA) in 2015. These prohibitions hinder medical practices like mine from rewarding physicians for abiding by best practices or penalizing those who fail to follow treatment protocols we know will lead to better patient outcomes. HHS agrees, and it recently reporting to Congress that the Stark Law poses a significant barrier to developing important care delivery models. Currently, only about 5% of physicians are participating in APMs. One of the main reasons for such low participation is the Stark Law’s prohibition on compensation models taking into account the volume or value of referrals made by physicians for particular health care services and tests. If physicians cannot reward greater value or less volume (when appropriate), how can we participate and succeed within this system? For example, certain provisions in the Stark Law hinder care coordination for colorectal cancer (CRC) screening across the various specialists whose expertise is critical to reducing the number of deaths from CRC—the second leading cause of cancer deaths among men and women in the U.S.
A care coordination model for CRC screening would bring together primary care physicians, gastroenterologists, radiologists, pathologists and anesthesiologists who often work in separate medical practices. Primary care physicians would ensure that appropriate patients are referred to gastroenterologists, who would coordinate with anesthesiologists to assess patient risk profiles and determine which patients should have their screening colonoscopy done in a free-standing ambulatory surgery center rather than in a hospital. Following the procedure, radiologists and pathologists would coordinate with gastroenterologists to deliver the highest quality, most efficient diagnostic results to patients. Without limited modifications to the Stark Law, this care coordination model that brings specialists together from across multiple medical practices could not be developed. Under current law, these separate physician specialty practices cannot enter into care coordination plans and shared savings arrangements that would increase the quality of care and drive down cost. The success of independent physician practices is crucial to lowering healthcare costs, and failure to improve care coordination could drive patients into the more expensive hospital setting. A recent analysis from Avalere Health found that the 49% increase in hospital-employed physicians between 2012 and 2015 led to a $3.1 billion increase in Medicare costs related to four specific procedures in cardiology, orthopedics and gastroenterology. Hospital-employed physicians performed more services in costlier hospital outpatient settings, resulting in up to 27 percent higher costs for Medicare and 21 percent higher costs for patients. Congress can help protect patient choice and support independent physician practices by passing bipartisan legislation introduced in the US House of Representatives and US Senate that seeks to modernize the Stark Law. The Medicare Care Coordination Improvement Act of 2017 (HR. 4206, S. 2051) keeps the consumer protections that are the main tenets of the Stark Law, while providing doctors with the flexibility to develop and participate in improved care coordination through alternative payment models. The barriers to care coordination created in the Stark Law were recognized years ago when Congress authorized HHS to waive the self-referral and anti-kickback prohibitions for accountable care organizations (ACOs) in the Affordable Care Act. ACOs are mostly hospital-led entities that attempt to coordinate care for about 9 million Medicare beneficiaries. HR. 4206 and S. 2051 would provide HHS the same authority to waive restrictions in the Stark Law for independent physician practices seeking to develop and operate APMs. The legislation would also allow physician practices to incentivize practitioners to provide high-quality care while APMs are under development and in operation. The bipartisan legislation is supported by the Digestive Health Physicians Association and 23 other physician organizations representing more than 500,000 physicians who care for millions of Medicare patients in the fields of cardiology, dermatology, gastroenterology, neurology, oncology, ophthalmology, orthopedic surgery, urology and others. Modernizing the Stark Law is crucial to realizing Congress’ goal of shifting the Medicare program from a fee-for-service payment system to a structure that rewards care coordination, high-quality care and the efficient use of resources. Allowing physicians in independent medical practices to participate in APMs and other value-based payment arrangements is critical to enhancing the accessibility, quality, and cost efficiency of care for Medicare patients. Indeed, it is essential to the success of MACRA itself. 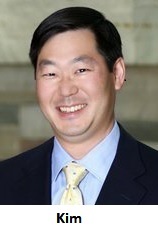 Lawrence Kim, MD, practices at South Denver Gastroenterology in Denver, Colorado, and serves as Health Policy Chair for the Digestive Health Physicians Association (DHPA). Dr Kim serves on the Governing Board of the American Gastroenterological Association and on the Board of Directors of the Accreditation Association for Ambulatory Health Care, the leading accreditor of ambulatory endoscopy centers.